It's been about 10 years since I built a dedicated development machine. For the past 6 years I've used a Mac Pro 2010 dual Xeon with 64GB of RAM as my main workstation, and have gotten a lot of mileage out of it. It has more life left in it, so I plan to use this new workstation as an extended development platform with more longevity. I typically start up to 4-6 virtual machines at a time, but I'd like to run many more (16+) without running out of resources. The parts for this machine were selected as a compromise between good single-core clock speed, overall number of cores, with near-silent operation. This is why I chose the Xeon E5-2690 V4 and Crucial 32GB DDR4 PC-2400, which gives me 256GB running at full speed. The dual Xeons are really fast, as you'd expect. There are 28 cores, 56 threads total. The default clock rate is 2.6 GHz. Max turbo frequency is 3.5 GHz. When all cores are idle the clock rate throttles down to 1.2 GHz. With all 56 threads at 100% utilization the clock rate on all cores is 3.2 GHz. The temperature at idle is around 32° C (90° F) with fans at ~350 RPM. At full load temperatures peak out at 64° C (147° F) with fans at ~750 RPM, automatically controlled by the motherboard BMC. At full load with all fans set to run at maximum speed in the BIOS (~1500 RPM) temperatures are only 34° C (93° F), with very reasonable noise levels. Even at full speed the Noctua fans emit a low "whoosh" without any whine / bearing noise. 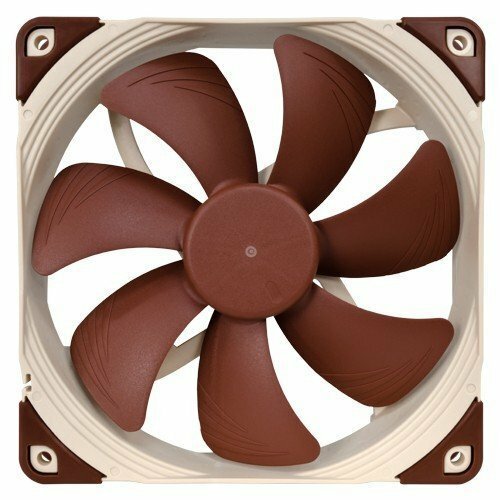 The Noctua coolers do a great job. I haven't yet purchased a fan controller but the coolers are doing pretty well at low RPM. For storage I went with a single Samsung 950 Pro M.2 NVMe SSD in an Addonics PCIe x4 card. This card basically passes the SSD straight to the PCIe bus. The Supermicro motherboard allows me to mark that slot as EFI so the Samsung is bootable into Ubuntu. Neither the bios or operating system had trouble recognizing the drive. For increasing the storage further I'm looking forward to Intel's Optane platform, as many people probably are. I was also considering getting an Amfeltec 4-way M.2 PCIe card that can use 4 M.2 SSD in RAID-0 configuration, but the Optane platform looks to be a better long-term choice, for both speed and endurance. The 950 Pro directly connected to PCIe is plenty fast and will meet my needs for the next year, since the work I'm currently doing is very cpu / memory-intensive. I'm also looking to add one of the Geforce GTX 1080 video cards hitting the market but have not selected one. For the next month it's using an ancient 8800 card that is nearly a decade old, and is working amazing well. The most important factors in selecting the case were SSI-EEB form factor support and good airflow. The Phanteks Enthoo Pro case is quite nice, and I would definitely buy it again if doing another build. It's spacious, but not too big, has a great layout with a separate compartment for the PSU, and nice case pass-thrus which made routing the cables simple and clean. Bought the Pascal-based Titan X on the day of launch and installed it on 8/6, along with the latest driver version 367.35. Great trade-off between core speed, number of cores, and thermal output. Would buy them again. Excellent cooler. Using it on the Xeon E5-2690 V4 and it runs very cool at low RPMs. Solid dual Xeon workstation motherboard in the SSI-EEB form factor, supports a ton of RAM and has enough PCIe slots for my purposes. Great case, excellent airflow, and supports the SSI-EEB motherboard form factor which I needed for the Supermicro X10DAX. Very intelligent layout, spacious inside but not too big on the outside. Also looks pretty nice next to the desk. Quiet, runs cool, modular, high power. Meets all my present needs and has enough capacity for future expansion plans of my dual Xeon workstation. No cons so far. If you don't mind me asking, what exactly is your profession seems both interesting and demanding! Sure - software development is my primary profession, so I'm using the machine for several things related to that: running containers and virtual machines, doing software scalability testing, and some data processing. WOW it's a beast of a machine. while researching I was looking for a cpu with high clock speeds of 4ghz and 8 cores and higher. It was almost like intel is forcing consumers to choose between the 2 but settled for the 6700k in the end. The 6700K is a great chip. I agree it can be tough to decide between i7 Core and Xeon. The Xeon E5-2667V4 sounds pretty close to the 6700K specs but it costs about 6-times more, so not a very good price/performance unless you need a ton of RAM or ECC. I debated it a bit myself, but for my application I decided the benefits of using 2 x E5-2690V4 outweighed the higher cost. Pffft. Probably gets less than a frame per minute in minesweeper. Pleb. Its not a gaming rig if you could read the description. You mad it kills your pc? What type of development is this machine used for? That's probably not a good idea. A single Xeon will give you a lot of cores, but you'll be sacrificing clock speed. The computer will probably seem slow for most tasks. For a single core creative workstation, I'd recommend the 6900X. It's half the price of a Xeon and it has a much faster clock. Check out my completed rig - that's what I wound up doing after a lot of research. If price is no issue, a dual Xeon build (like this guy's rig) is the way to go for editing. Nice build. I guess, no of cpu cores are exceeded than supported cores by motherboard 22. I'm thinking of building something like this for a machine learning research project. Since you're going with the MBD-10DAX, I'm assuming you're eventually going to go with SLI. 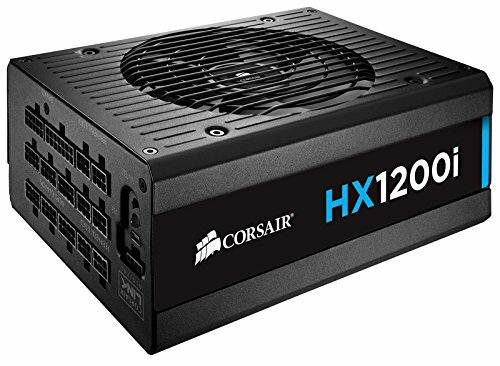 How does the motherboard fit the case? I've heard EE-ATX is tough to get right with regards to compatible cases and had initially settled on just getting a Supermicro server case. I also see you're running some variant of (virtualized?) Linux. How hard is it to get the software up and running out of the box? Any funkiness with regards to CUDA workloads? Does Supermicro MBD-X10DAX support Xeon E5-2690 v4 or did you do any bios update ? I was initially worried about this too, as I've read others using the X10DAX mention using a V3 chip to perform the bios update. Thankfully my X10DAX supported the E5-2690 V4 out of the box. The bios version is 2.0 with build date of March 9, 2016. Incredible. I'll definitely be using this case to house my C602 dual socket machines. Nice to see these unique builds. 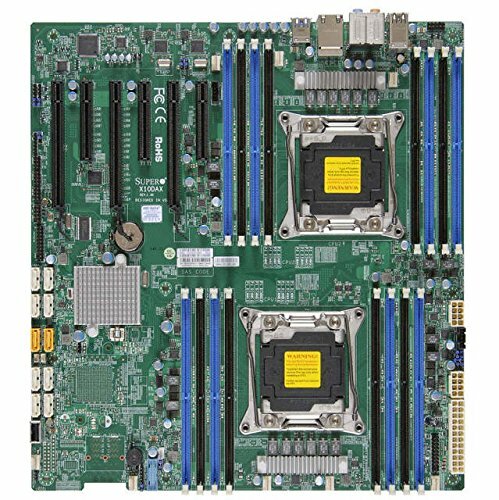 Supermicro lists the X10DAX as an EATX board. So it's actually SSI-EEB? Did the Phanteks match up with all the mounting points? More specifically, did you have to drill at all or leave any of the mounting points unscrewed? Apparently it's used for work, so it pays for itself, I guess. Actually an 8800GT. I'm using it as a placeholder until I get the final video card situation sorted out. EZ-Watt shows it using ~350 W under full load right now. I still haven't pulled the trigger on the 1080 as I'm debating going with a consumer / gaming, or professional video card. Once the video cards and storage are finished I'll update the max watts. What about idle power? For my needs I'll have long spells of coding (nearly idle) alternating with "crunching" using all the resources available. At idle I'm measuring ~97 W. However this is without a powerful video card. The (Pascal-based) Geforce GTX Titan X was just announced, so that is the main video card I'm considering now.